Fox News has had a rough couple of weeks since its split with Bill O’Reilly — and it’s starting to show. O’Reilly was fired on April 19 after news that he and the top cable network had paid $13 million to settle lawsuits accusing him of sexual harassment or other wrongdoing. (He denies it all.) Then, company co-president Bill Shine was ousted as part of the same purge. A few weeks later, Fox News founder Roger Ailes — who had stepped down under his own cloud of sexual harassment accusations — died. Now, despite Sean Hannity’s best — and often successful — efforts to draw viewers, the cable news giant is feeling the effects of a tough spring without O’Reilly. Meanwhile, the key competition, CNN and MSNBC, are way up this month, so far, over last month. If you’re thinking, “but May isn’t over,” you’re right — but Fox News would need to surge dramatically in the next few days to make up for its overall average decrease. And the Memorial Day long weekend usually doesn’t encourage TV viewing. Despite the month-to-month decline, Fox News should finish May as the No. 1 network in cable news for both primetime and total-day. Let’s make sense of the above hour-by-hour breakdown, which starts before primetime but extends through it. Five o’clock was previously the home of “The Five,” but it moved to 9 p.m. after O’Reilly got the ol’ heave-ho. O’Reilly was officially fired on April 19. His last actual on-air appearance was eight days earlier. In-between, he vacationed abroad as speculation about his future ran wild. Tucker Carlson is doing his best to plug the hole O’Reilly left at 8, but he’s lost 13 percent of Bill’s overall audience members — just like “The Five” has done in Carlson’s former time slot. The six, seven and 10 o’clock hours have all been steadier, but are clearly not immune to what is happening around them. More evidence that the “O’Reilly Factor” exit was the key factor in Fox News’ decline? Fox News was rising in the month before his ouster. All three cable news networks grew from March to April in both total day and primetime for the key demo and among total viewers. Fox News wasn’t gaining as aggressively as CNN and MSNBC, but it was growing. Year-over-year, the picture looks a little better for Fox News. It’s impossible to make an apples-to-apples comparison, since last year included a presidential election, and this year includes the constant drama of a Donald Trump presidency. But MSNBC, CNN and Fox News are all up this March, April and May compared to the same months last year — with Fox News gaining a little less than the others. Of course, that’s partly because Fox has less room for improvement. It’s dominated cable news for most of this century, and has led for 20 straight weeks across the total-day viewership metric. Fox News is still a ratings behemoth, thanks in part to Hannity at 10. 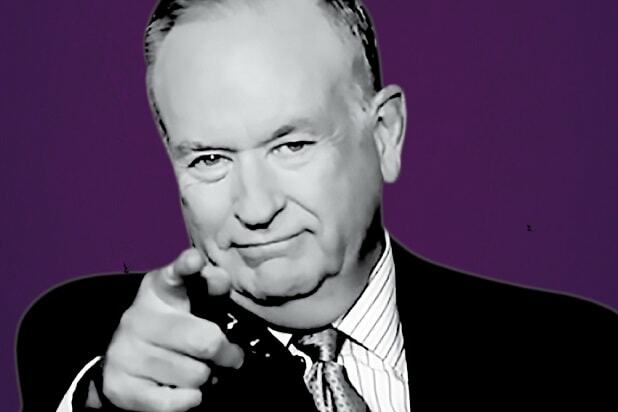 Of course, O’Reilly went down soon after advertisers began abandoning his show, just as some are now doing with Hannity.